Sorry, I had to eat some of it. I was hungry! Yum. As a coconut lover, this bar was great. The main flavor was toasted coconut with what I thought was the occasional date, but oddly it doesn’t actually contain any dates. 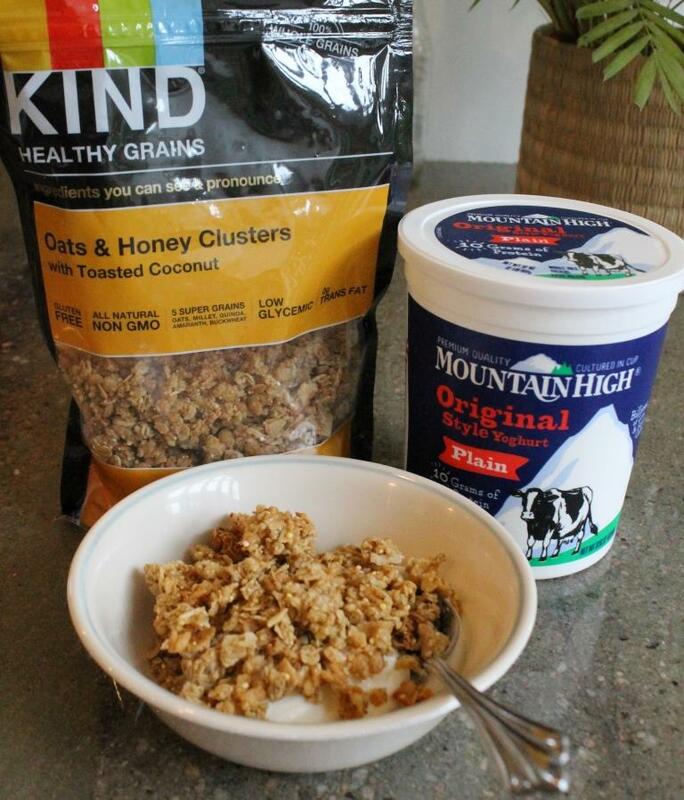 It is made solely of almonds, coconut, honey, coconut sugar, chia seeds, pure ground vanilla beans, and sea salt. 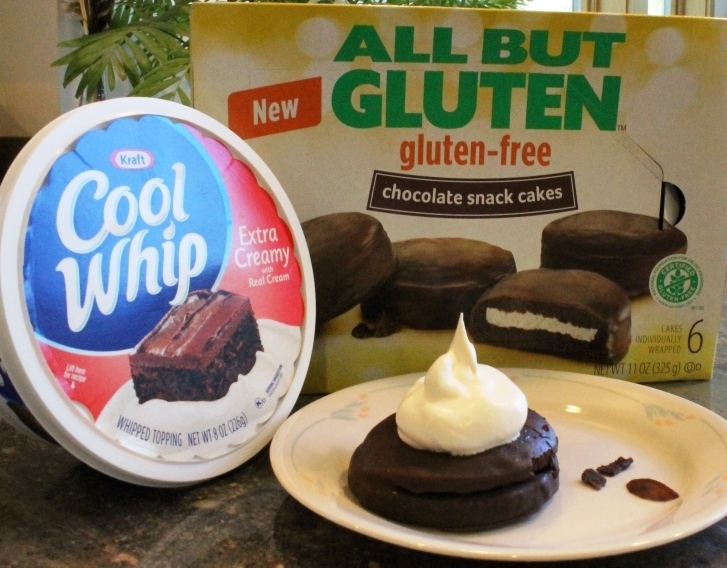 (Just about half of those ingredients are organic.) 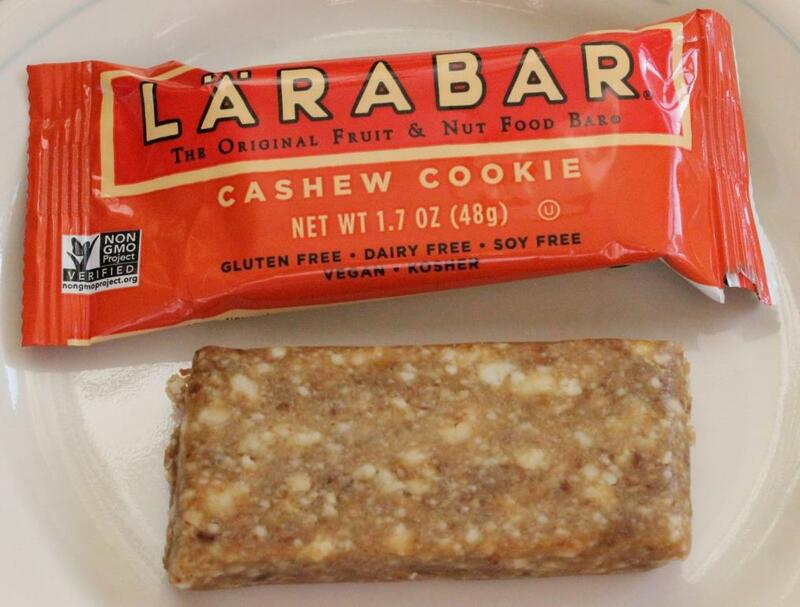 I’ve had alleged coconut bars in the past made of similar ingredients, and those have been hard as a rock. 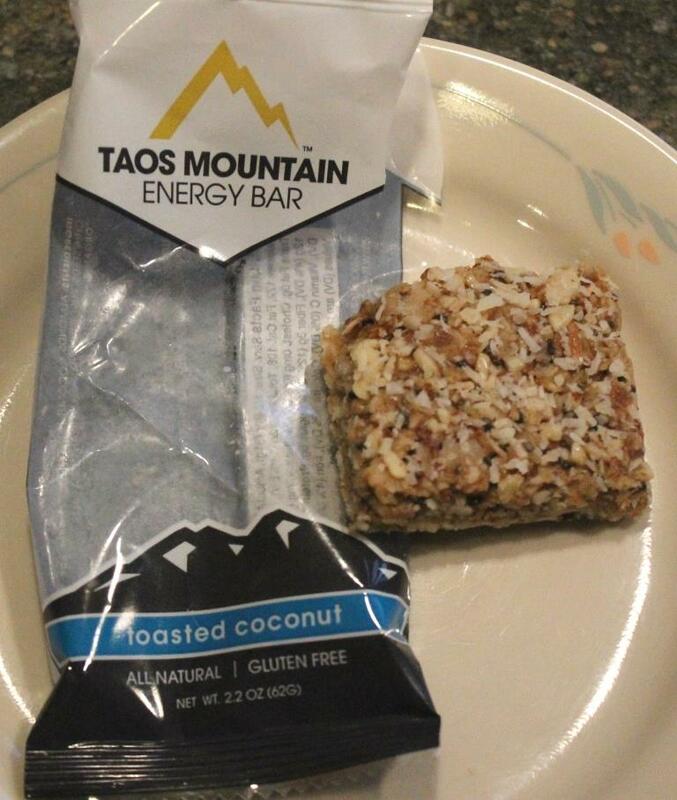 This Taos Mountain Energy Bar was nice and chewy and left a pleasant toasted coconut taste in my mouth (as opposed to the normal nasty bitter sesame hull taste). I found this chunk of coconut goodness at a coffee shop for $2.75. I’d normally say ouch over that price, but I really only ate half of it in the first sitting. Try one yourself and decide. 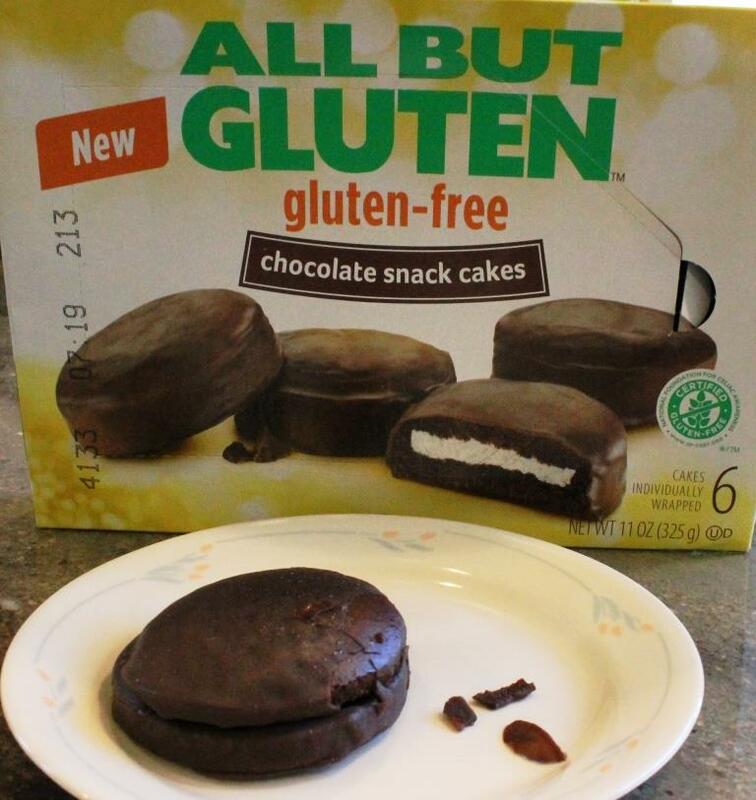 It was a lot nicer in flavor and consistency than most gluten-free coconut bars I’ve tried. #1 – You get four servings from the Freschetta pizza – that’s two okay size slices per serving. I don’t think so. This pizza is too good to just stop there. I usually (twice so far) eat three, which reduces it to 3 servings per pizza (at $9.99/pizza). I could probably make it four slices (half the pizza), but I do have some semblance of self control. #2 – I keep forgetting to put the flipping pan in the oven while it’s preheating. The first time, I completely forgot and ended up with the burnty pizza picture you see above (because I left it in for the 15 minutes instead of 12). The darn pizza STILL tasted awesome. The second time, I remembered AFTER the oven was preheated, so I put the pan in for five minutes and then put the pizza in. 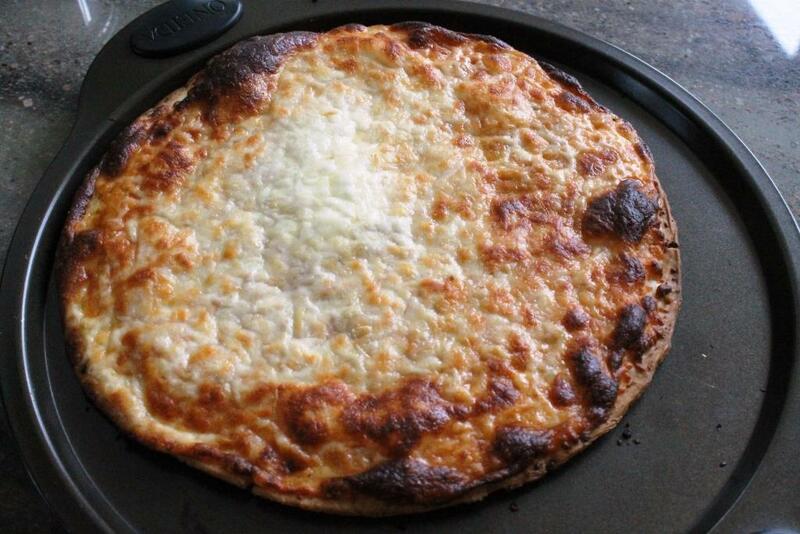 Still not enough time – the middle of the pizza stuck to the pan again, but not as badly as the first time. 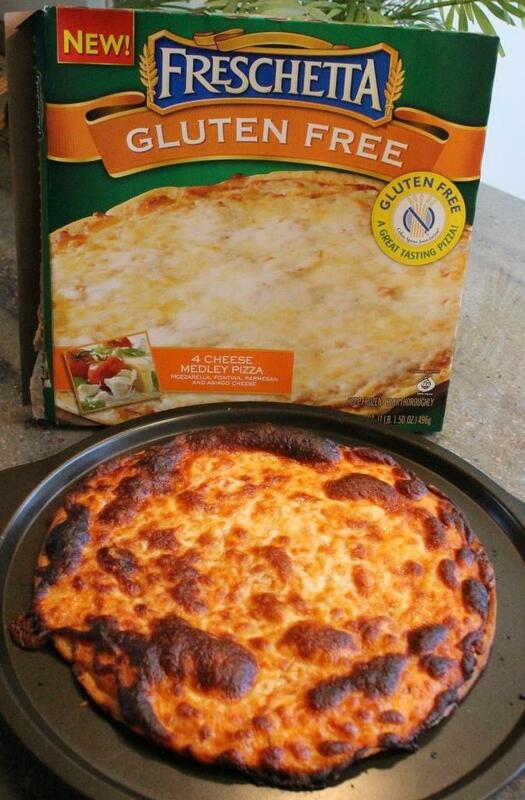 Sticking to the pan or not, you still cannot beat the taste and consistency of this Freschetta Gluten Free Pizza. I’ve had gluten-free pizza at actual pizza shops, and Freschetta still wins. Yay for us! YUM! Hot, hearty, quick, easy, reasonably priced, and delicious. 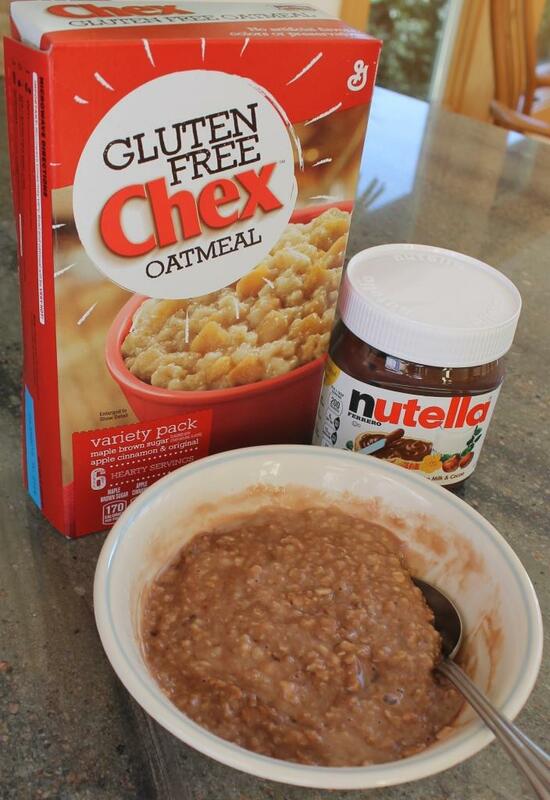 How can you go wrong with that combination? Udi’s has hit it out of the ballpark with this lasagna. So satisfying. The flavor, consistency, and appearance – all great. Even though when you take the tray out of the microwave the sauce looks a bit soupy, it’s really not. There’s just enough of it to keep it moist. And the sauce is light and flavorful. Spicy smell while cooking, but not spicy to taste. There’s just enough sausage to give it a hint of a very pleasant kick. The cheese consistency was good. At 5:45, the cook time was very convenient. While it’s frozen, it may look like it needs more cheese on top, but it really doesn’t. 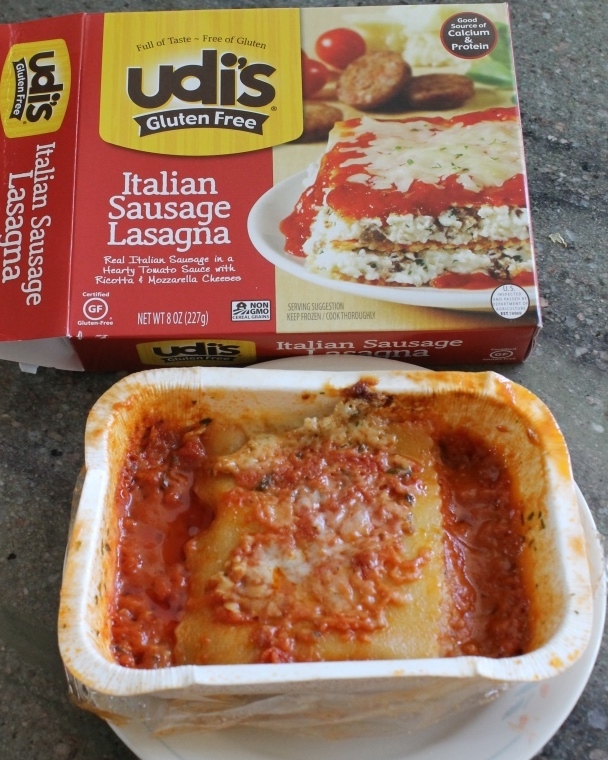 I don’t know about other gluten-free lasagnas, yet, but for $4.99 a single serving, I’ll be looking for this on sale and will buy a few when that happens. Thank you, Udi’s.